A fire took the lives of two deaf people in Ohio--and three people are charged with deliberately setting the blaze. Associated Press has more on the story here. Microsoft says it has developed a new tool that allows users to turn Skype into a real-time voice and text translator. Skype Translator should be out before the end of the year. Here's a video introduction (the Google captions contain some mistakes). Mother: Not seeing my deaf daughter is "heartbreaking"
Karen Talosig wants her daughter with her in Canada. But the Filipina woman may not get her wish--because her daughter is deaf. And she's been waiting for four years. The CBC has the full story in the video posted below. No captions, but you can read the story here. An Australian judge is refusing to allow a deaf woman to serve on a jury. Queensland judge James Douglas says his ruling is based on a law that bars sign language interpreters from sitting in jury rooms. According to ABC (Australian Broadcasting Corporation) reports that a Deaf Services Queensland representative says this isn't the first time this has happened. Parents of a deaf Pennsylvania boy are suing the small town of Greenburg for not giving him an interpreter during soccer games organized by the city. The names of the parents and the 8 year old are not revealed in the lawsuit. But the mother is an interpreter, according to the Pittsburgh Tribune-Review. Read more on the suit here. "Cochlear implants produce remarkable gains in spoken language and other neurocognitive skills, but there is a certain amount of learning and catch-up that needs to take place with children who have experienced a hearing loss prior to cochlear implantation. So far, most of the interventions to help with this learning have focused on speech and language. Our findings show a need to identify and help some children in certain domains of executive functioning as well.We are now looking for early markers in children who are at risk before they get implants." Details are in the Journal of the American Medical Association Otolaryngology--Head and Neck Surgery. Read more about the study here. The American School for the Deaf has named it's new president. The West Hartford, Connecticut school is appointing Jeff Bravin as its 13th executive director. Bravin has been a part of the school for more than a decade, including serving as the assistant executive director and chief operating officer. Read more from the school's website here. A deaf soccer team in the UK gave up 164 goals this year because they could not hear the referee's whistle. The Birmingham Deaf Football Club has asked referees to wave flags when they blow a whistle--something that's in the rules. But they either forget or don't want, according to the Birmingham Mail. LEaving them with a record of 25 wins and only one victory. Read more in the here. A deaf boy tied to a pole during most of his day in India is causing a stir after it was reported by the French news agency AFP. His grandmother says she wanted to keep nine-year-old Lakhan Kale safe while she is at work. But when an India newspaper ran pictures of Lakhan, which you can see here, government officials moved him into an institution. A 2-year old retriever mix is the newest "teacher" at Berkeley, California’s Center for Early Intervention on Deafness. KPIX-TV has a video report posted below. The captions were not working correctly at the time of this post, but you can read part of the story here. An Atlanta-area deaf high schooler gave a moving speech at his graduation. But Evan Mercer didn't' get to address his fellow students during the ceremony because he is deaf, but because he is the valedictorian of the Harrison High School Class of 2014. WXIA-TV has a video report below. No captions but you can read the story here. The second video is Evan's entire speech (which comes with Googles sometimes helpful automated captions). I want to pass off a somewhat funny but instructive little cochlear implant story, because that's why I'm here. I had to come out for another tune-up of the new implant I got on the right side. I had the appointment yesterday after the program. Yesterday I had come across on a website a five-minute video that purported to help people understand how those of us with cochlear implants hear things. I took the video to my appointment and I played it for my audiologist. Find out what happened next in the transcript here. A deaf man was beaten at a Houston Denny's during a robbery. Five armed men entered the restaurant yesterday morning, demanding money and valuables. KHOU-TV has a video report posted below. Police in Virginia Beach are on the lookout for a driver who left a deaf man for dead after hitting him near the Naval Air Station Oceana. Chris Valerio was riding his moped at the time. WAVY-TV has the story in this video report. A man and two women convicted in the fatal stabbing of a deaf man are going to prison. The trio planned to rob Michael Shull in Charlotte, North Carolina in 2012. Shull had only recently graduated from the North Carolina School for the Deaf. The video below is a report from WSOC-TV. Ever wondered what it would be like to have a cochlear implant? An Arizona State University has created a video that contains audio simulating the experience for hearing people. 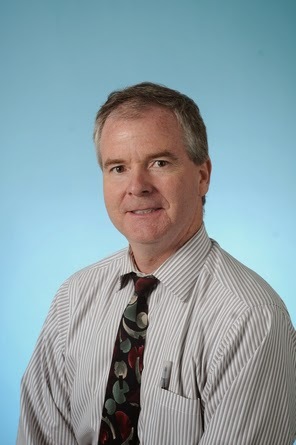 Michael Dorman is director of Cochlear Implant Research Lab. A new movie tells the story of a hard-of-hearing New York artist named Fritz. The filmmakers say they discovered the 70-year-old "when he is at his lowest, shortly after the death of his girlfriend." Fritz the Movie shows his artistic efforts despite a "tumultuous relationship with his brother Vince, who thinks his dreams are unrealistic and stupid." Find out more at the film's official website here or watch the trailer below. There is something of a "scene" emerging around the world, reports the BBC. The news agency points out that, besides the teen drama Switched at Birth on ABC Family, there are two other "dramas with signing at the core." Sweden's Inte Varre an Andra (No Worse Than Others) and Norway's MokkaKaffe ("Rubbish Coffee") involve the deaf. Find out more about these shows and why they are popular in the BBC article See Hear: Could deaf dramas be TV hits? A judge is dismissing a lawsuit against Redbox over captioning. Francis Jancik sued for equal access under ADA law to the company's DVD, Blu-ray and video streaming services. Jancik pointed out it is hard to know whether a movie includes captions or not, the way Redbox operates. But Redbox claims it isn't responsible, since the company is a distributor and not the creator. The judge agreed, saying the situation was like a bookstore--which is not responsible for the content of the books it sells being offered in Braille. Read more in the OC Weekly. Jane K. Fernandes will become president of Guilford College starting July 1. You may remember that in she was appointed president of Gallaudet University in 2006. But after prolonged protests from students and faculty, the Board of Trustees decided to withdraw the offer. Fernandes told the Chronicle of Higher Education, "It was very difficult for me to recuperate." Read the full interview here. The Deaf subculture is able to separate itself from the lowercase “d” deaf group by spotting speaking individuals with hearing aids and cochlear implants. When no one is able to see these hearing devices, internal implant adoptees will likely be seen as purely hearing people. This isn’t going to improve the divide in the deaf population. If anything, hidden hearing technology could further estrange the two groups. A deaf man is on trial in London for hitting another deaf man with one punch--and killing him. A British Sign Language Pride event was over last summer and both men went to the same pub, the White Swan. Matthew Powe is now on trial for murder, but Powe claims he hit Vitalis Katakinas in self-defense. Read more of the story in the UK's Daily Mirror. A former deaf medical student at Creighton University should get nearly half-of-a-million dollars from the school to cover his legal fees, says a federal judge. Michael Argenyi sued the Nebraska school for discrimination after it refused to allow him to use interpreters--even when he was willing to pay for their services himself. We told you here that a federal jury sided with Argenyi last fall, but he was not awarded any financial damages because the jury decided the failure to give Argenyi assistance was unintentional. His lawyers appealed that verdict by requesting that a judge weigh in on the matter. Now, a federal judge is ordering the school to pay Argenyi $478,000 to cover his legal fees. Administrators at the school may appeal that decision. You can read the full ruling here. The man who pretended to be a sign language interpreter at Nelson Mandela's memorial service is back in the spotlight. A company out of Israel called Livelens is paying Thamsanqa Jantjie to appear in an advertisement for the Tel Aviv-based startup. The National Association of the Deaf expressed "outrage and disappointment that any company would think it appropriate to hire and portray any individual who has become synonymous with mockery of sign language interpreting." Read more from NAD here and more on the story from NBC News here. You can see the advertisement below. Mark Leekoff is making history this weekend. He'll graduate from the West Virginia University medical school and become a neurologist. Leekoff was one of the first kids in the U.S. to get a cochlear implant and tells WTTG-TV, “I'm an ambassador for the deaf community and myself. Through medical school, I have educated people about my hearing loss and everybody's embraced that.” The TV station's video report is posted below. The first brain stem implant at Children’s Hospital Los Angeles took place Tuesday. Riskier than typical cochlear implant surgery, only a few have been performed on young children in the U.S. Tuesday's procedure--on a deaf 3-year-old boy--was the first in a federally approved clinical trial. Read more at the LA Times here. The one thing people cannot replicate is total deafness. They cannot, therefore, understand it. You can pretend to be blind, you can pretend to be paralyzed from the waist down, but you cannot pretend to be deaf. There's no way you can artificially create that. Even if you put yourself in a soundproof room, you hear something. You can hear yourself breathe or whatever. Total deafness, people can't relate to it. That's why the deaf always get blamed for not hearing things, 'cause people can't relate...it's the only disability where the "victim," as it were, is blamed for having the disability. 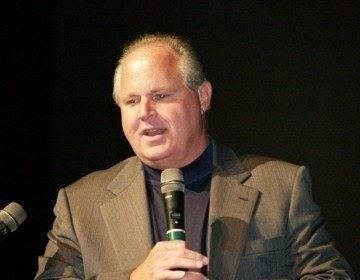 Read a transcript of the entire call and Limbaugh's answer on his website here. A free video streaming site is using crowd sourcing to get more captions on videos. Viki.com allows its 30 million users to write captions in the language of their choice. The goal of the "Billion Words March campaign" is to reach 1 billion words captioned by the end of 2014. Academy Award-winning actress Marlee Matlin is putting her support behind the effort. Find out more here or watch this video interview with Matlin. Rapper Sean Forbes drew hundreds to the University of Minnesota’s Coffman Memorial Union Monday night for a concert. Sponsored by the University of Minnesota’s Disability Resource Center, the event was covered by WCCO-TV in Minneapolis (captions available). A Deaf Theological Center is opening near Nashville. Deaf believers will be offered "customized seminary-level training for missions and ministry." The work is the combined effort on the part of the International Mission Board, Union University, the Southern Baptist Conference for the Deaf, Brentwood Baptist Church and Brentwood Baptist Deaf Church. The Center is starting with six students who are being taught in ASL. Classes included Old Testament, New Testament, biblical doctrine, biblical hermeneutics and missions/church planting. There's more information here. Below is a video explaining the mission effort. Deaf Theological Center launches for missions task from IMB on Vimeo. Image from Signmark video "Score"
Rapper Signmark is back with an new album after a four year break. The Finnish singer (real name Marko Vuoriheimo) received international acclaim five years ago for his song Speakerbox. The first deaf person to sign a deal with an international record label, his new album, Silent Shout, includes a song in southern Chinese sign language. Here's a sample. When the NFL draft kicks off next week Gallaudet defensive lineman Adham Talaat will be waiting for a phone call. Talaat thinks he could do well in the pros. "Derrick Coleman is thriving in the NFL despite his hearing loss is opening eyes and doors in that aspect," Talaat told the Boston Herald. The paper reports, "Talaat posted impressive numbers at Gallaudet's first-ever Pro Day last month." Read the full article here. Canadian school students are "dressing loud" today to raise awareness about hearing loss. This is Speech and Hearing Awareness Month in Canada. A group called VOICE started the Dress Loud Day movement. The advocacy group suggested elementary and high school students put on the loudest, wildest, wackiest clothing they could find. VOICE has been supporting parents of children with hearing loss in Canada for a half century. Find out more here. You are four times more likely to become deaf if you are a professional musician than the average person. And it doesn't matter whether the musician is playing in a rock band or a classical music orchestra. That's the finding of a study out of Germany by researchers at Bremen and Oldenburg Universities along with the Leibniz Institute for Prevention Research and Epidemiology. Their recommendation? Musicians should wear protective in-ear devices and in stall sound shields between different sections of an orchestra. Details are in the journal Occupational Health and Environmental Medicine. You can read more here.